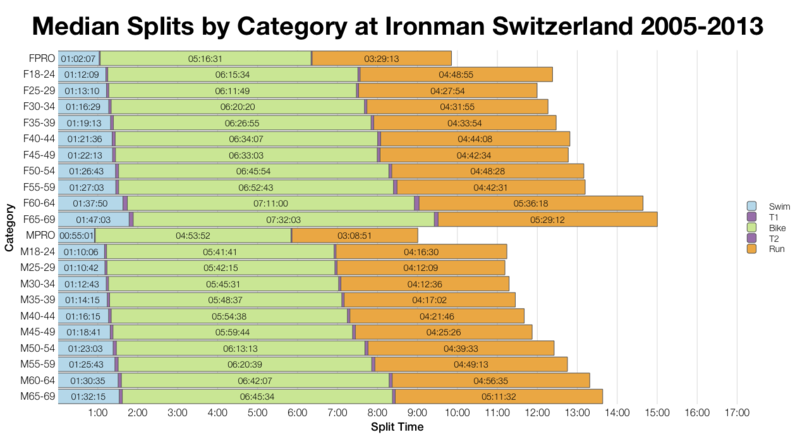 Continuing to clear through my back log of Ironman results, here’s a quick look at performances at Ironman Switzerland 2014. Like most of its European counterparts times in Switzerland tend towards the faster end of the spectrum. This year doesn’t appear to have been an exception with splits largely comparable with past results. 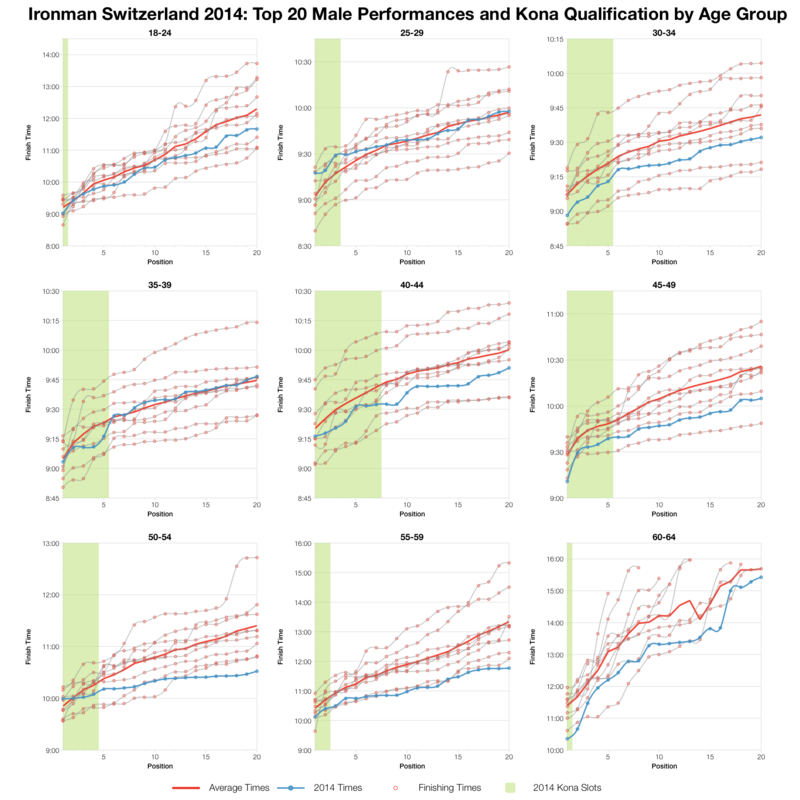 Generally the median splits for each age group are similar to past performances with the exceptions of swim times being slower and more interestingly women’s age groups faster. 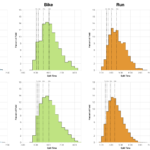 Faster bike and run splits are pretty consistent across the female field, but no such pattern is present for the men. It’s apparent at the pro level too. Looking at the distribution of the splits as a whole there are no significant differences from previous results; this was a typical year. 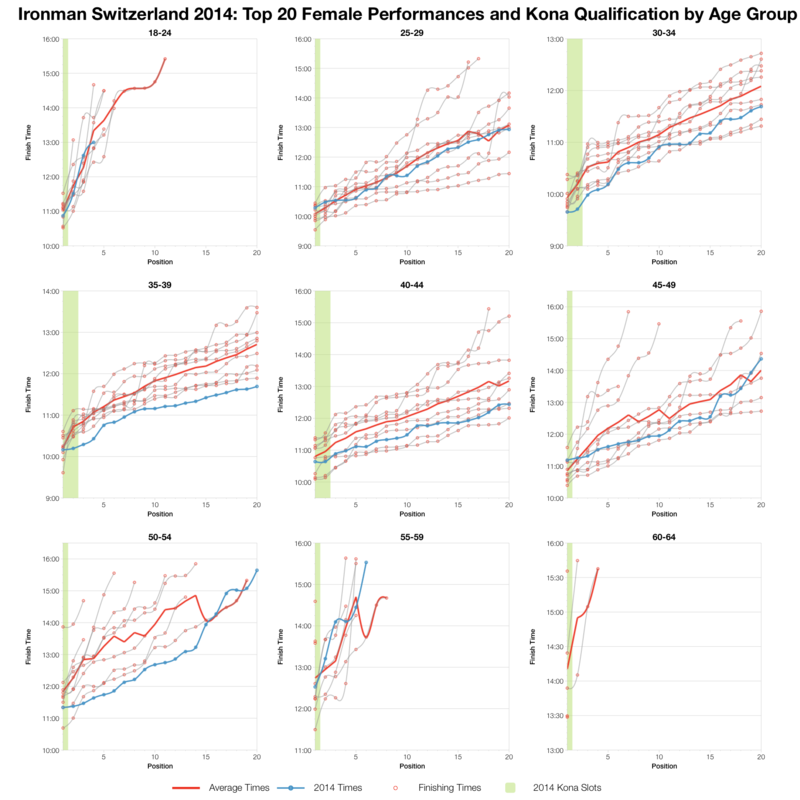 There may have been shifts in some age categories, but at no more than 10% of the field the impact of slightly faster women’s age groups is small. As a whole times are comparable with past events. 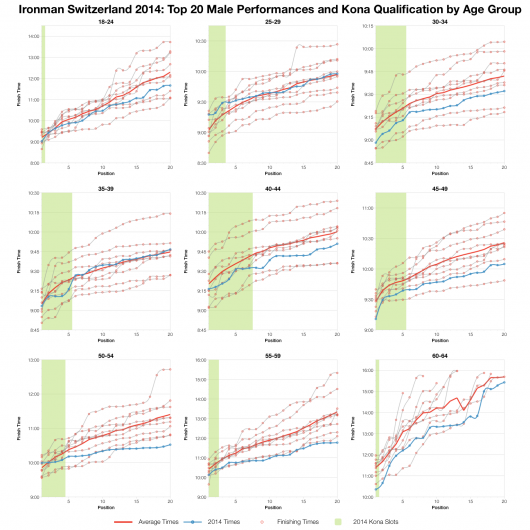 Finally the top 20 performances in each age category. 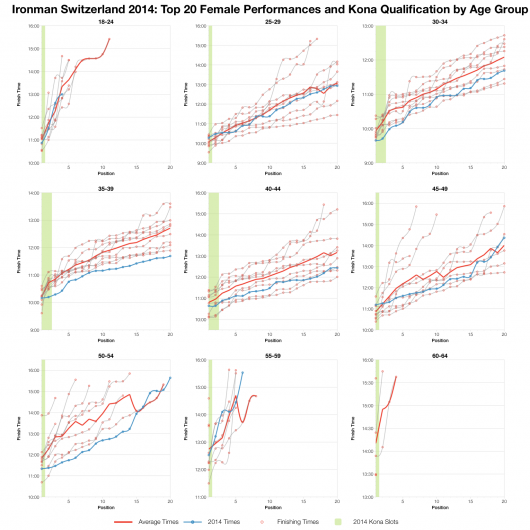 We can see that in most women’s age groups this year’s times were faster than average although the exact margin varies. 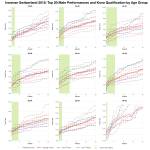 The picture is similar in the male top 20s, times are more often on the faster side of the average line. 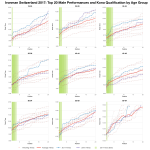 Again it’s a matter of numbers, while the front of pack athletes may have been faster, it’s not enough to shift the average splits for the largest male age groups. This year’s race doesn’t appear to have strayed too far from expectations. There was definitely some fast racing at the front of the pack, but over the entire field this was averaged out to give a typical pattern of results. 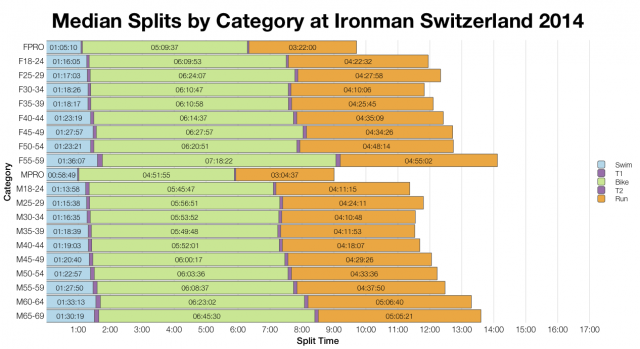 You can view a spreadsheet of the full results and splits from Ironman Switzerland 2014 on my Google Drive.